Our adventure starts from your hotel at dawn, where we will pick to go to the launch site. As the staff prepares the balloon, we can take a light breakfast, tea, coffee, fruit and freshly baked pastries. the pilot will make them a safety talk and explain to them the operation of the balloon. A ready time, climb up the basket with a capacity between 12 and 16 people and start flying. 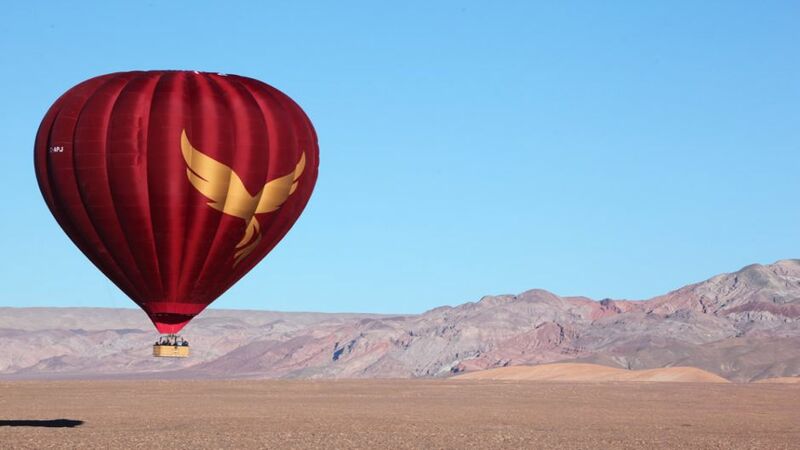 The balloon is gently moved by the desert winds, allowing passengers the Atacama appreciate tranquility landscapes. Thanks to his skill and long experience, the pilot may guide the balloon to a soft landing, after which a glass of sparkling wine is served to toast a successful experience.